Boeing has made an investment in Reaction Engines Limited, a designer of advanced propulsion systems based in Oxfordshire, United Kingdom. 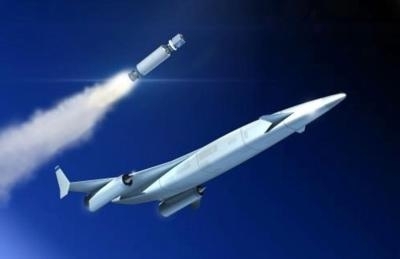 Reaction Engines' technology will contribute to the next generation of hypersonic flight and space access vehicles. "Boeing is a world-leader in many fields, bringing invaluable expertise in hypersonic research and space systems. I am thrilled and honored that Boeing HorizonX has chosen Reaction Engines as its first U.K. investment," said Mark Thomas, CEO of Reaction Engines. "This is a very exciting step that will contribute to our efforts to develop a commercial technology business and accelerate opportunities to further the future of air and space travel through SABRE technology."